This castle looks run down and not well maintained, that is because it was abandoned over 80 years ago because of a huge fire. Since then the castle was forgotten about and no-one had entered the building ever since. The castle is something out of a fairytale as it sits on a mote and has water surrounding it and only a bridge as access. 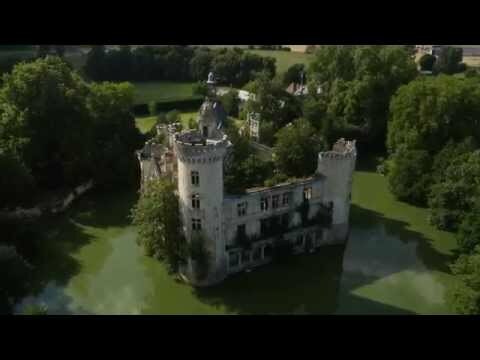 The castle has a history of royalty was purchased by a teacher named Marc Deyemer in hope of restoring Château de la Mothe-Chandeniers to its former glory but was not successful. Nature had taken over too much of the castle and removing all the trees would take forever. The castle has recently gained the attention of non-profit groups and they are raising awareness to save the castle.